Police in the state of Sokoto say they arrested 15 suspects for alleged abduction and armed robbery. The Police Public Relations Officer, Deputy Chief of Police Cordelia Nwawe, made the revelation at a press conference in Sokoto State on Wednesday. Nwawe said the suspects (names were withheld) were arrested for alleged criminal conspiracy and kidnapping in the village of Tulluwa in the Rabah Local Government Area. The police arrested the suspects for alleged robbery and terrorist acts against innocent citizens of Tabani and Rabah LGA districts. "Two of the suspects from the village of Tungan Dalo, Rabah LGA, were arrested for alleged bovine activities in the state," she said. 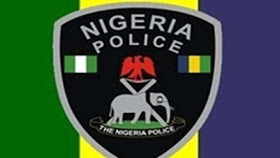 Nwawe said police have arrested five more people from the Sokoto state poachers' LGA for allegedly calling and threatening victims for facial attacks. The police spokesman said the arrests are a continuation of the police's efforts to ride the state of criminals and reduce crime. According to Nwawe, state police commissioner Murtala Mani has ensured a coordinated search and surveillance to protect life and property in the state. She urged parents to monitor the movement of their wards to protect them from danger. "In addition, the public is asked to always provide useful information that can help the police capture suspected criminals in the state," she said.